Get ready to be amazed at this chocolate-y sweet Chocolate Brown Sugar Pie, it's the easiest and tastiest pie you’ll ever make. 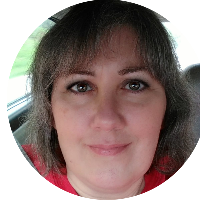 *Disclosure: I received one or more of the products mentioned here for free, to help facilitate the making of this recipe. As always, all opinions are my own. Welcome to Choctoberfest with Imperial Sugar! It’s the sixth and final day of #Choctoberfest 2018, but don't worry because I saved the best for last. 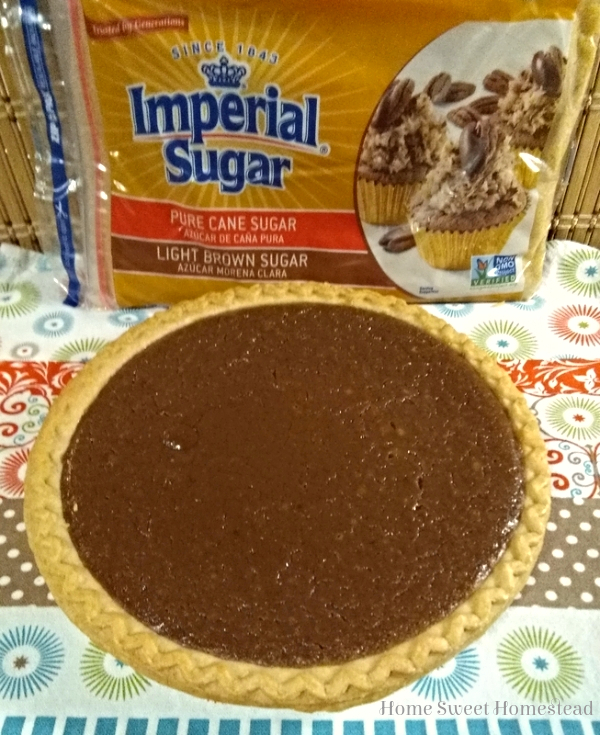 Imperial Sugar – our #Choctoberfest Gold sponsor, makes all sorts of amazing sugar products (I used their brown sugar in this recipe). 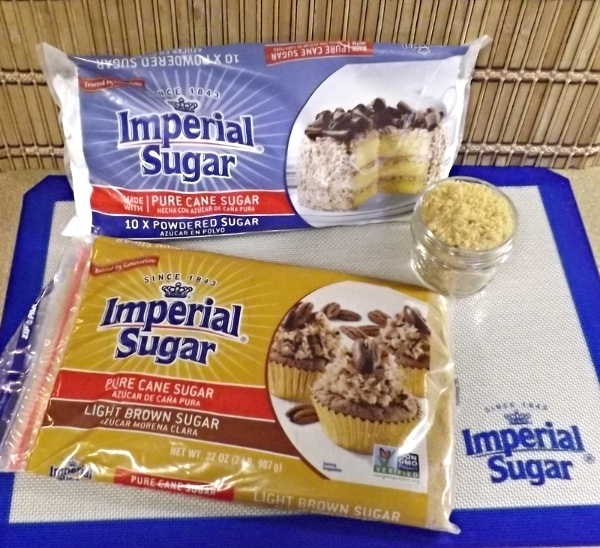 Imperial Sugar is celebrating their 175th year of producing non-GMO pure cane sugar this year! Follow Imperial Sugar on social media! 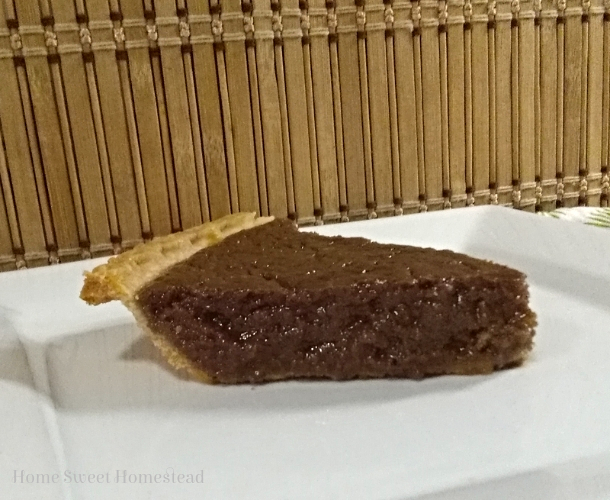 I found the original recipe for this pie in an old Amish cookbook I used to have. Sadly I developed an egg allergy about five years ago, and had to come up with an egg free version so we could still enjoy it. 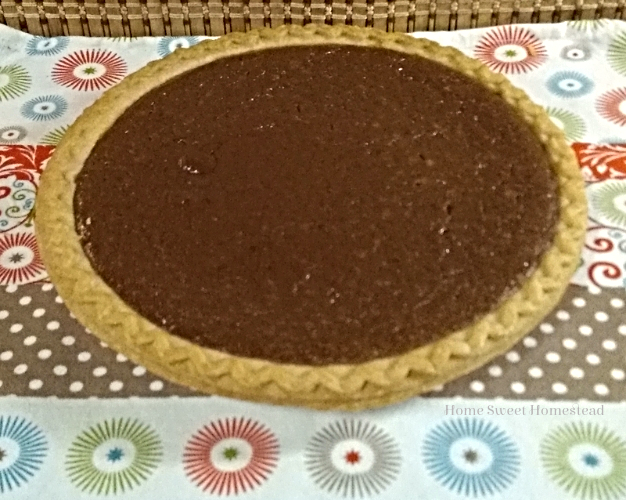 Then when #Choctoberfest came up, I decided to make this pie even more delicious by adding chocolate, and Chocolate Brown Sugar Pie was born! For convenience, I used a store-bought pie crust. If you have a bit more time though, make your own with this easy recipe for Perfect Pie Crust. Don't let this simple, plain looking pie fool you though. The chocolaty brown sugar filling taste like chocolate caramel, and is oh-so-good. You will be licking your fork once you finish a piece of this tasty pie. 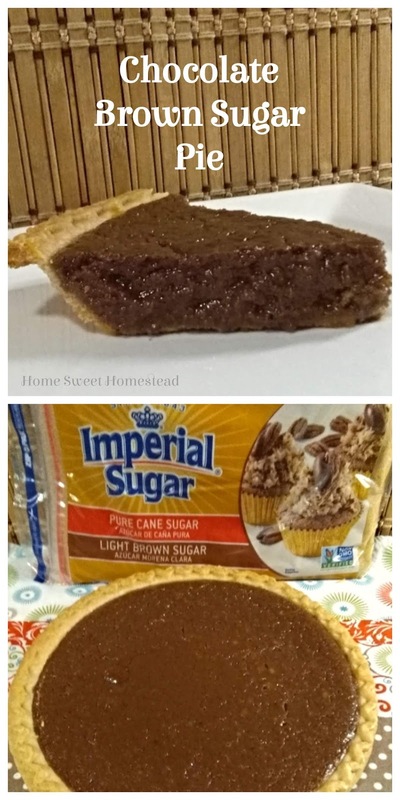 This pie is rich and sweet and soooo good! All it takes is a small piece to satisfy your sweet tooth. It will definitely become a regular on your dessert menu. After the recipe scroll down to find even more yummy #Choctoberfest recipes. And don’t forget to enter our #Choctoberfest giveaway, with a prize pack worth over $400.00! In a medium saucepan combine flour, sugar, cocoa, and salt. Stir in evaporated milk, butter, salt and vanilla. Cook over medium heat, stirring constantly, until mixture comes to a boil. Bake for 5 minutes. Reduce heat to 350 degrees F and continue baking for 25 minutes. Allow to cool, and serve topped with whipped cream if desired.